The Real Housewives of Atlanta aired it’s 9th episode of the 5th season last night and it was all double dates for the vets vs. disrespect for the newbies. Cynthia Bailey and her hubby Peter Thomas, who have taken on the role of the couple that keeps other couples “together,” decide to hang out with Phaedra Parks and her husband Apollo Nida after reading rumors of their pending “divorce” on a blog. The cute couples took a field trip to Atlanta’s historic Clairmont Lounge, where they encountered a slew of elderly strippers. I don’t know about you… but last night I was totally into the men’s story lines as opposed to the women’s! I’m super duper tired of the Kenya Moore “40 & desperate & single” storyline and I know you all are too, so as I stated earlier, my five things focuses on the men of RHOA this week. 1. 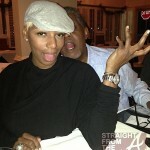 Peter Thomas is messy… but we already knew that. I hate to say it… but keep up the good work Peter!! I’m loving that you’re making this season entertaining for us! 2. 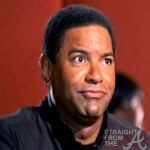 Apollo Nida is foine… But we already knew that too. He also makes up words like “juvial” and doesn’t live by “a sector of the time scale” (whatever that means). Because of Apollo’s good looks and tight physique, he’s even being pimped out featured in Phaedra’s new donkey booty video series, since he’s been certified as a personal trainer. In the last episode, Kenya tries her hand again by flirting with Phaedra’s husband during a meeting to market their new workout videos. 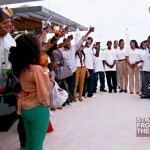 Rumor has it that Kenya wasn’t a part of the final project because she tried to steal Phaedra’s idea and start her own “Stallion Booty” series… but you didn’t hear that from me! 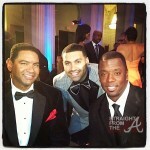 Apollo earns his keep this week by griping about his wife Phaedra to Peter, while Kordell Stewart looks on like he wants to eat him up. (I’ll get to him in a minute). 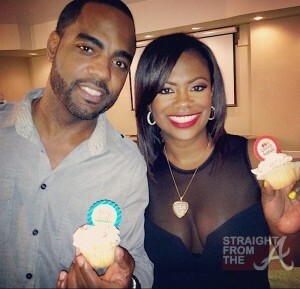 The “divorce” drama all ends with Apollo and Phaedra slobbing each other down in front of the entire crew. Unlike Peter, who is messy with a purpose, it’s almost like Kordell wants to be the “housewife” in his relationship. I dunno if you caught it, but Kordell got checked twice by other housewives during the episode! Once by Kenya, who noticed Kordell monitoring her conversation, and politely asked him to skedaddle while she and Porsha had words. And next by Cynthia, who noticed that Kordell was a bit too involved in female chatter. At some point, Kordell even told Porsha that if she apologized to Kenya one more time, HE would have a problem with it. Now I know that’s his wife… BUT at what point should Porsha be able to resolve her own conflicts with her female “friends” without Kordell getting involved. None of the other married women have that problem on the show and I know through personal experience that most married men prefer to stay outta their wive’s petty arguments with their female friends. 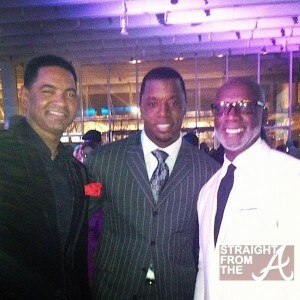 But maybe Kordell & Porsha are a part of the “new normal”…. I digress. 4. Walter Jackson (sigh) – What can be said that hasn’t already been said? Jackson was utterly disrespectful to Kenya during this episode but we already know he’s not really feeling her “like that”. And while we all know that their relationship was never as “serious” as Kenya made it out to be, I honestly can’t fathom her agreeing to be made a fool of for the cameras like that. Walter “READS” Kenya so bad during their “lunch date” that she really should have got up and left! 5. Last but not least… umma lump Todd Tucker & Greg Leakes in the same category (for now). Todd cleans up well and looks good in all white. 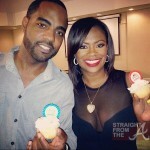 He and Kandi invited Phaedra & her pastor into their new home to bless the place and Phaedra decides to bring up marriage. It seems that after being exposed to Kenya’s desperate energy, Kandi doesn’t even want to go there right now. So she avoids the conversation. And “O.G.” Greg didn’t make an appearance last night. 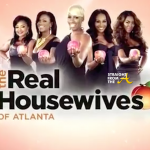 What did you think of this most recent RHOA episode?